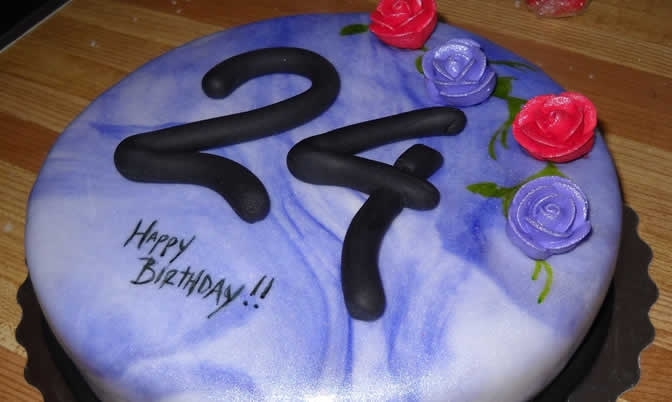 Congratulations on making it to 24! You’re still young, but you’re starting to move into fully-mature adulthood. So how exactly should you change your life for the better? Start by following this guide that outlines 10 things you should stop doing right now! 1. Stop buying cheap clothes. As a teenager and young adult, it’s fine to buy clothes and only wear them a few times, changing them as fashion dictates. However, now you’re older and probably settling into your first serious job, it’s time to start taking style more seriously. Invest in a few key pieces rather than buying a new wardrobe every few weeks. 2. Stop dating unsuitable ones. It can be hard to find someone worthy of your time and attention, but by the time you reach your mid-twenties, you should have a better idea about what you need in a partner. Don’t waste your time on experimenting with people who you know, deep down, are not right for you. Strike a balance between being realistic and being too willing to give people a chance. 3. Stop caring what other people think. It’s human nature to worry about what other people think of us, and no-one likes to feel as though they are being judged or criticized. However, being overly concerned with others’ opinions can cause you to lose sleep and even sacrifice your cherished dreams and ambitions in favour of living someone else’s idea of a great life. Trust your own judgement first and foremost. 4. Stop blaming your parents. Sure, no-one’s parents are perfect and yours probably made their fair share of mistakes. However, it’s too easy to fall into the trap of blaming your parents or your upbringing for any current issues you may have. This isn’t productive, and will sour familial relationships. 5. Stop holding onto old hopes and dreams. Are you guilty of holding onto aspirations that you really would be best off releasing? It may be time to trade in your old goals and ambitions for newer, more realistic aims. This doesn’t mean you have to give up on your vision of an ideal life, just that you need to keep your aspirations realistic. 6. Stop living in denial about your finances. Those years when you could get away with being oblivious to the intricacies of your financial situation are over. It’s time to get responsible and set up a decent savings account, together with a pension plan if you haven’t got one already. 7. Stop being too nice. This is an extension of Point 3, above, but deserves its own point. Stop people-pleasing. By your age, you should have a good idea of what you are capable of, and where your limits are. Learning how to say ‘no’ is an important step on the road to maturity. 8. Stop wasting so much time on the internet. This is a tough one. These days, it seems as though everyone is addicted to the internet. We use it to find information, keep in touch with friends…and most of the time just browse social media unconsciously…wasting plenty of time. Learn to set time limits for yourself. You could even try one completely internet-free day per week. 9. Stop taking your health and fitness for granted. Most of us can subject our bodies to late nights, too much alcohol and excessive junk food in college without feeling the after-effects. Unfortunately, as you move into your mid-twenties and then into your thirties, your body isn’t quite up to the task any more. Time to start eating more healthily and limiting those wild late nights! How many hours have you lost looking for your wallet, cell or keys? Make this the year you finally start getting your possessions in order. Nothing makes you feel more mature than knowing exactly where your stuff is.